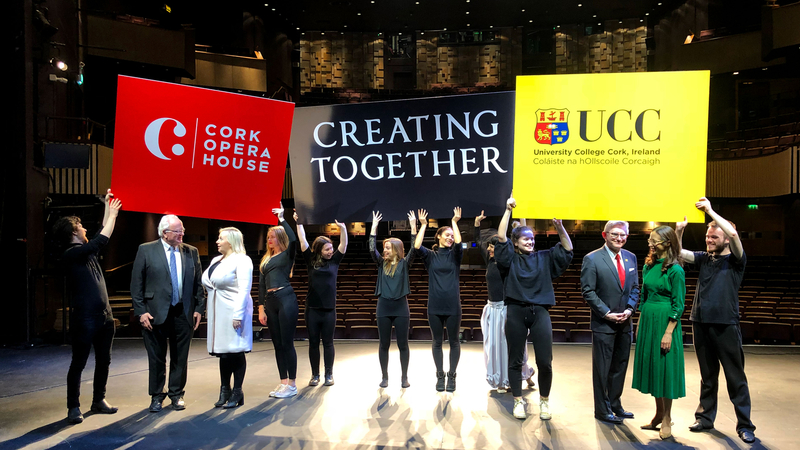 In February 2018, Cork Opera House and University College Cork launched an initiative that will help to educate and inspire the next generation of creative and theatrical professionals. The two institutions will collaborate towards educating the emerging talents in the arts industry and nurture potential professionals of the future. 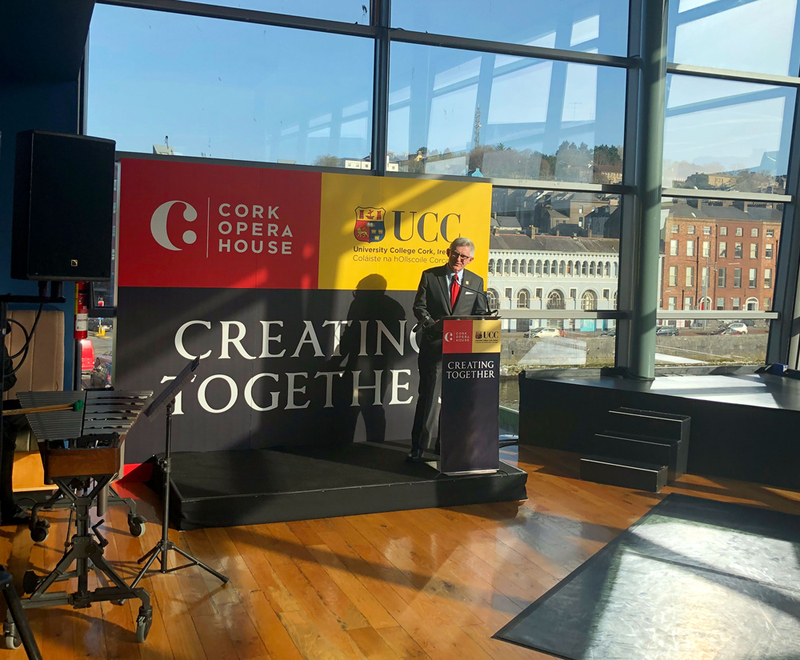 The initiative will position Cork Opera House as a Learning Theatre and provides UCC with a real world learning environment that enriches the student experience. Our involvement began with strategic meetings with both parties to identify the key messages and refine the brand message. From this we created the brand that now defines the partnership and serves as an endorsement for all activity taking place through the collaboration – Creating Together. 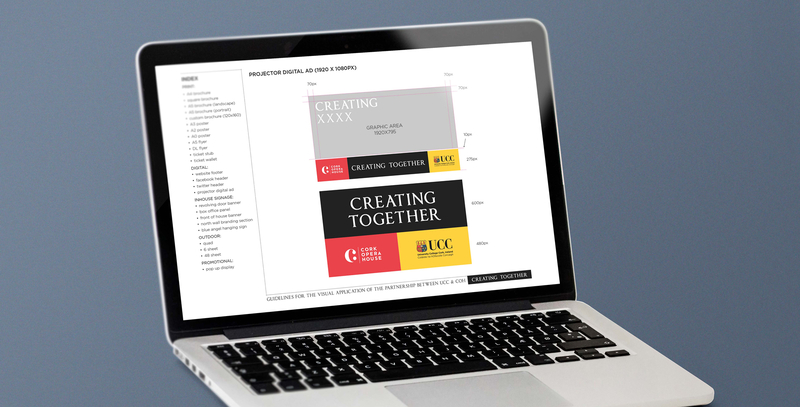 A complete brand strategy was devised including thorough brand guidelines to be implemented, respecting the integrity of each of the institutional brands. 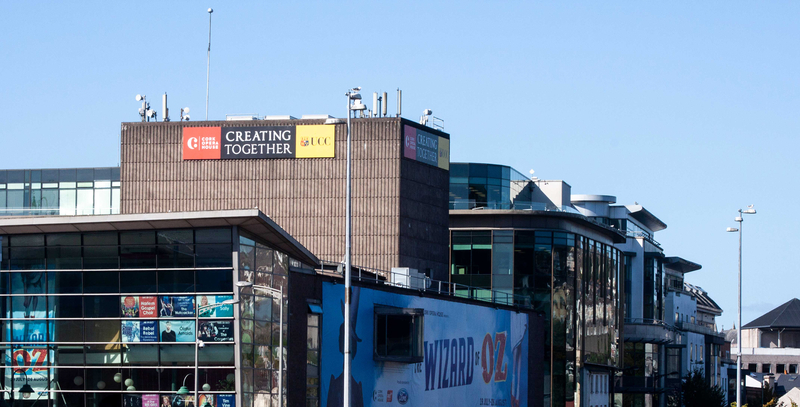 A major deliverable of the project was to replace the iconic Toyota sign on the top of Cork Opera House, overlooking the city. 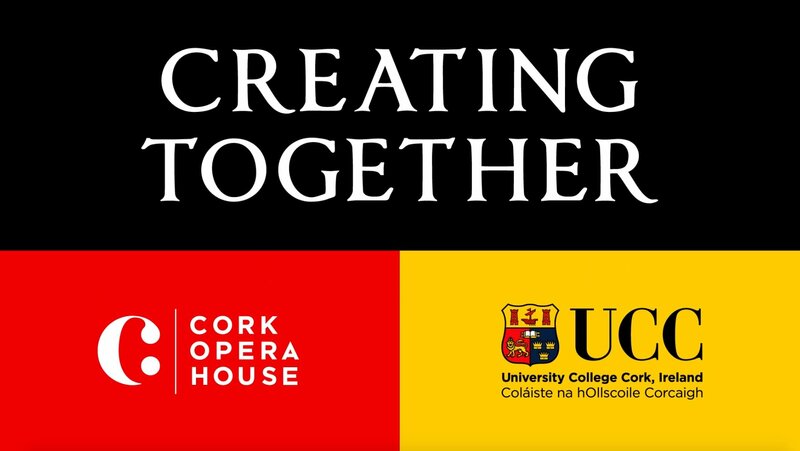 UCC and Cork Opera House, Creating Together!